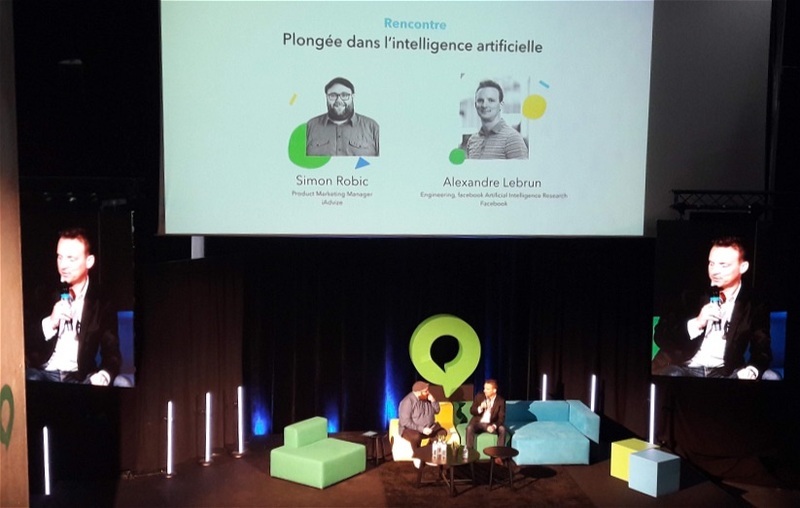 A few weeks ago, we had the chance to participate in an event organized by iAdvize in Nantes (France) and dedicated to innovations in conversation. The audience of more than 300 professionals from all over France is proof, if it were still needed, that French companies are aware of the necessity to immerse themselves in digital culture to transform their business. In 2017, marketing managers around the world planned to allocate $3bn of their budget to customer experience and customer relationship. This investment is grounded in a profound transformation in the way companies view customers, but also in the way customers view themselves. Relationships between brands and their customers already exist today, with their ups and downs, their promises and their disappointments. More objectively, one of the things we learned on that day was that initiating a conversation with 1% of your visitors will generate 20% additional engagement around the brand. Without a doubt, this is a strong lever that brands should take into account! With this in mind, the talk entitled “When the voice of the customer carries in brand authenticity” was highly informative. Héloïse Laurent (Claudie Pierlot), Emmanuel Marill (Airbnb) and Maxime Garrigues (X-prime) shared their belief that conversation is the core of business and that it generates trust. Customer experience and the returns from this experience are a new goldmine for brands. With a strong presence on social media, a seamless experience between physical and online stores, increased training for in-store and online sales assistants, sometimes even virtual reality games… companies strive to provide services, but above all experiences to their customers! These customer experiences require a more intense exchange between customers and brands. And for this exchange to be effective and successful, companies need to know their customers and offer them an appropriate omni-channel architecture with tools that communicate well together. This includes Single Customer View (SCV) systems, one of the new ways to organize customer data. These tools can also be used by field teams: for example, sales and after-sales representatives must have access to all of a customer’s data in order to be able to provide the right answer and thus generate the successful exchange that they so aspire to. Obviously, an event about conversation could not overlook AI. But actually, what is AI? Alexandre Lebrun, head of the engineering department of Facebook’s fundamental research laboratory in Paris, tells us that Artificial Intelligence lies on the borderline of what we are not yet capable of doing. But as soon as an AI idea is implemented, it is no longer AI  a few years ago, online shopping was probably an AI concept… Today, AI has learned to master a wide range of skills: visual recognition, 3D modeling from images or videos, translation with speech synthesis, image reading, automatic content generation… but autonomous conversation with a machine is still science fiction. We will have to wait for perfect AI to be able to hold a perfect conversation with a machine! Besides, this raises a very relevant question: do we really want to put robots in front of customers, who arrive with their emotions? Without a doubt, humans have an added value that we can not and should not replace with artificial intelligence. A final talk also caught my attention, about the position of customer service within the company. We were told all day long that the customer’s voice is valuable for the company, which must foster porosity between the business teams and the field teams and allow them to exploit data. If transactional data, for example, have long been taken into account, what about the use of relational data? In conclusion, many of the concepts discussed during the day are obviously familiar to us: omni-channel management and the interfacing between different technical components, customer experience, through chatbots for instance, best online practices… But this event reminds us to remain focused on our customers, beyond our ever-growing appetite for technical knowledge, and allows us to rethink the place of digital agencies in relation to companies, which are increasingly integrating digital culture thanks to new profiles and a transformation in the organization of their services. Digital agencies are no exception and must also learn to adapt and evolve ahead of these changes! We need to be able to communicate with our clients’ business teams as well as with their customer service, and provide them with solutions adapted to their needs, ever more personalized and innovative.